Nancy Wagner is offering a new By Annie project class each month. 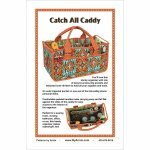 With a focus on practical and useful projects, By Annie patterns appeal to a sewists of all ages and levels. The patterns are easy to understand with complete instructions to guide you every step of the way. 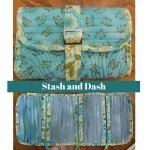 You’ll love this spacious organizer with lots of zippered pockets to hold everything you need--sewing machine feet and accessories, tools, and more. Removable pocket pages with pocket arrangements in four styles feature zippered pockets to hold all your supplies, electronic gear, or other treasures. You'll have no more tangled jumbles of thread when you make and use these handy thread cases. The large case has four see-through pockets which hold up to 48 spools of thread as well as a larger pocket for scissors, needles, and other supplies. The 10" x 30" organizer neatly folds to a compact 8" x 10". Each month you will do a project on your own machine to help you build the skills and confidence you need to master machine embroidery. 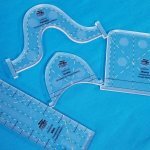 Using Templates and Rulers: This class offers instruction on using templates and rulers with a domestic machine. The skills learned can also be used on sit down quilting machines such as the Baby Lock Tiara. 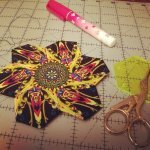 Beginning Feathers: This class introduces quilting feathers with a domestic machine. The skills learned can also be used on sit down quilting machines such as the Baby Lock Tiara. This class involves making a feather sampler and incorporating free-motion skills. Have the latest, greatest ScanNCut DX and want to learn how to use it? Well, come on down! Learn to use the free ScanNCut Workspace PC-based software to expand your creative capabilities and open up a whole new way to use your ScanNCut! This Class is open to all ScanNCut users, 650 and DX!